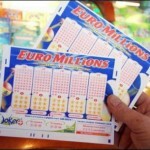 The Euro Millions is traditionally the lottery that awards the highest prizes, and the same happened two days ago when a French man scooped a prize of €169 million. If we were to translate that amount into dollars, the result would be slightly above $215 million, on par with the amount waiting to be worn in the Powerball. With that jackpot being rolled over for consecutive times the two lotteries were locked in a race for making someone filthy rich. When the jackpot exceeds €100 million, regular players and occasional ones increase the number of acquire tickets, which explains why the prize grew out of proportions quickly. 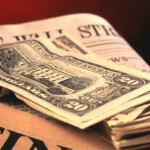 Although its American counterpart had the upper hand initially, the Europeans rallied and this is how the price quickly became the largest to be worn worldwide. Before this latest draw when a French punter eventually indicated the winning numbers, the jackpot was slightly above €150 million but it quickly rose to almost 170. The fact that a single player managed to win it means that even if he chooses the lump payment and after paying all the taxes he will still have around €80 million or slightly above $100 million. 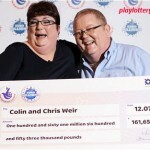 The French punter is now officially the most successful lottery player from this country, overtaking his countryman who won €160 million one year ago. If back then the organizers said that the player resided in the northwestern Calvados area this time the identity or location of the winner is shrouded in mystery. The winner has plenty of time to come forward and claim his money, but it is up to him whether to disclose his real name or not. Anyway, this prize will make him one of the richest man in France, with Challenge magazine saying that he will barely miss top 200. 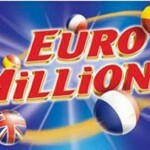 Now that the jackpot was finally won, the Euro Millions will start and on Friday players will compete for a more modest prize of only £100 million. 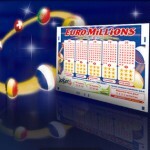 So far the largest jackpot ever to be worn in the Euro Millions was the €190 million won by a couple in August and unfortunately for those who hope to break the record, this is not possible. Although it is only a matter of time until lottery prizes will inch closer to that value and due to popular response would exceed it, the cap will prevent it from doing so. €190 million is the most one can hope to scoop in the euro millions right now, so tying the lucky couple for the record is the best case scenario.